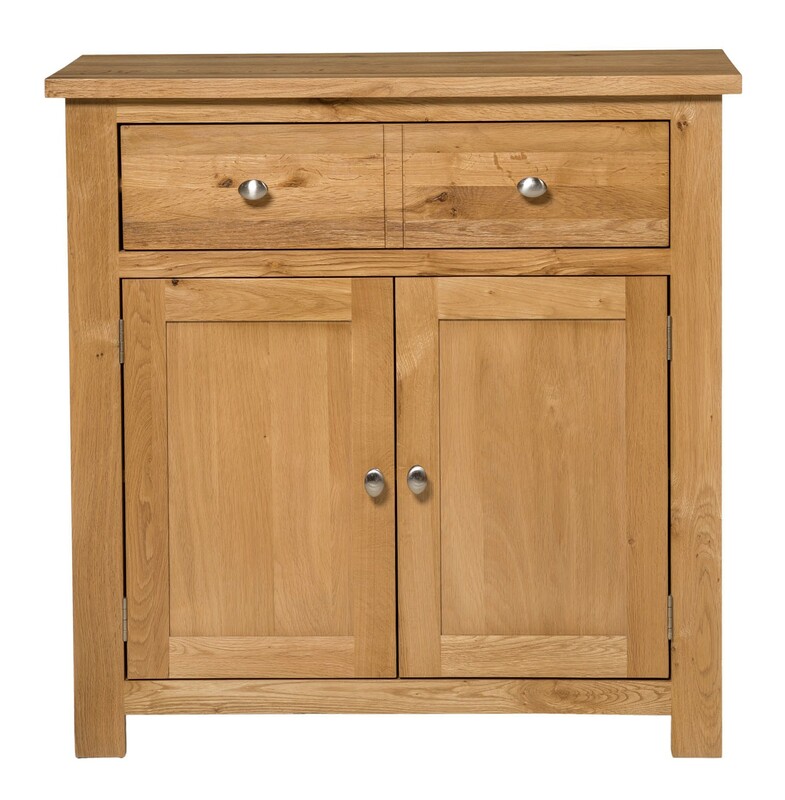 This light oak compact sideboard comprises of one drawer and one cupboard, with brushed steel knobs and a lacquered finish to enhance the natural wood finish and protect the wood from damage. The perfect storage solution for difficult spaces. 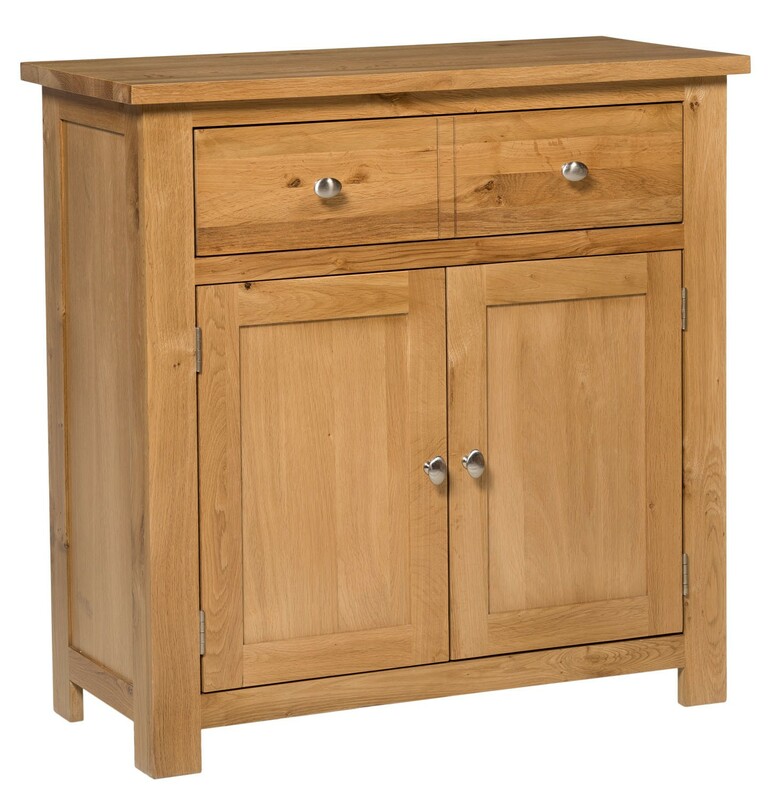 Ideally suited to dining rooms, kitchens and even craft/hobby rooms, this sideboard features one large cupboard, with two doors, and a large drawer, with a double-drawer effect detail. 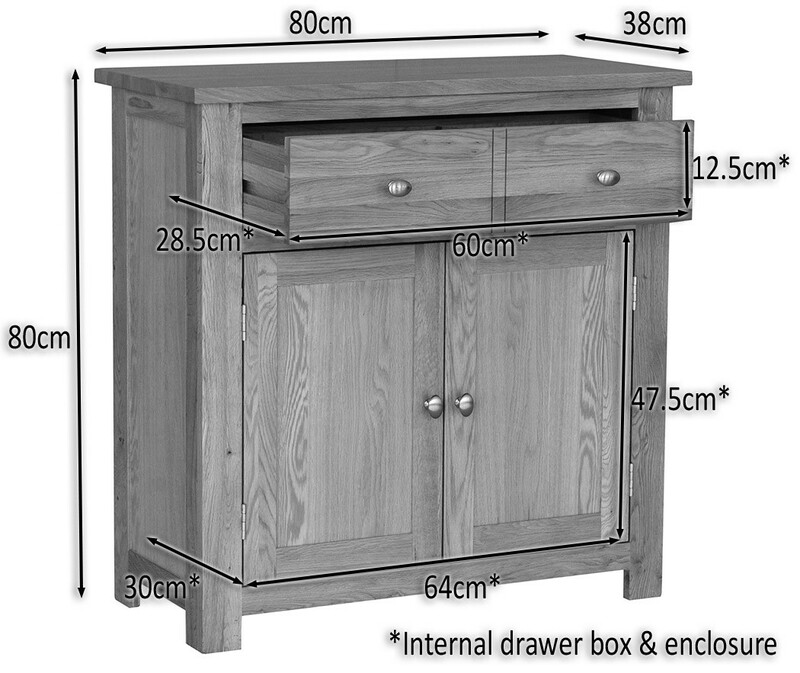 Perfect for storing excess dining accessories, tablecloths, hobby supplies or even crockery and cookware. 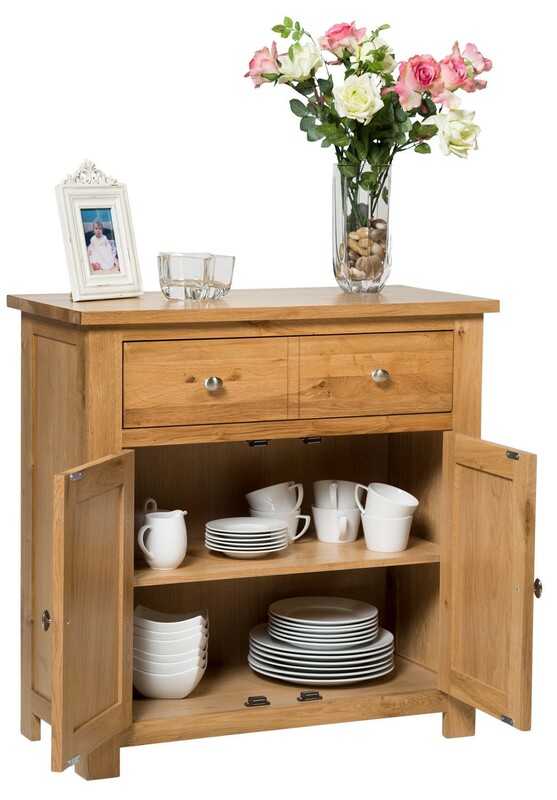 The cupboard has one adjustable shelf, to separate, display and organise your possessions. 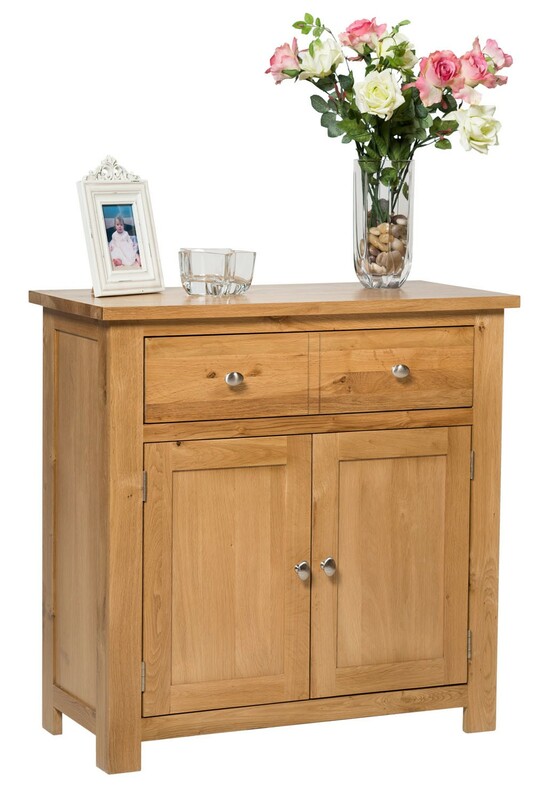 In a bedroom, hallway or entrance hall, this piece can be used to store spare bedding, beauty products or electronics and the sturdy top is ideal for displaying favourite ornaments or family portraits. 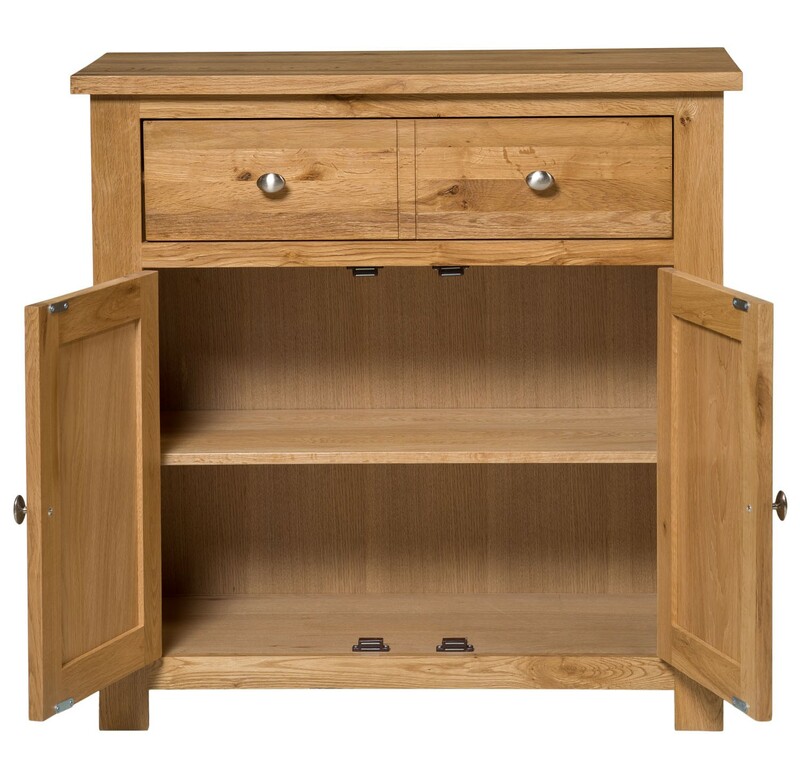 This piece will also look great with a Waverly Oak mirror displayed above the sideboard, or in a dining room featuring other Waverly oak dining furniture. 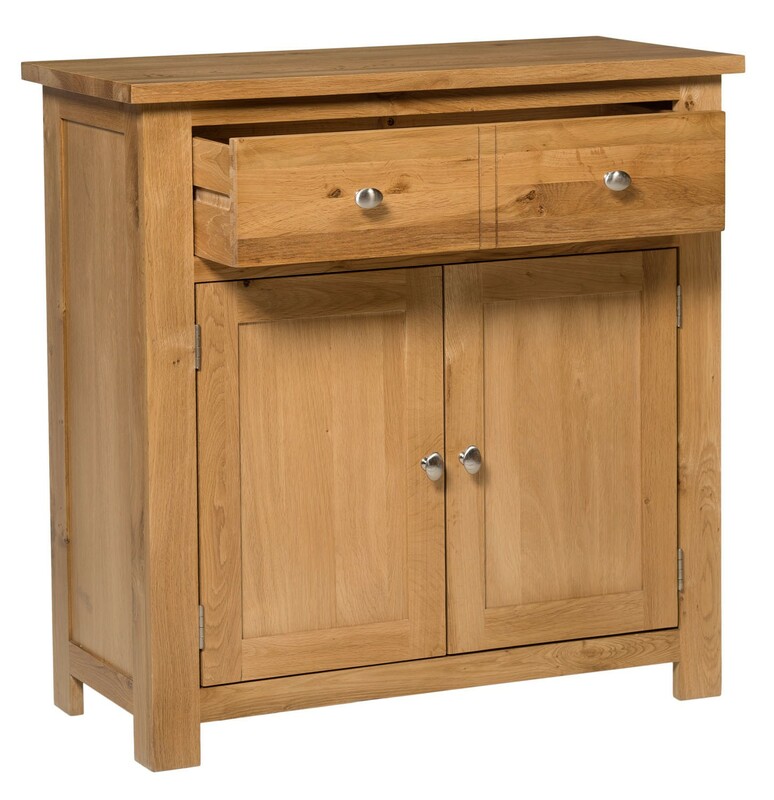 One drawer and one cupboard offer ample storage space. Perfect storage solution for smaller areas. 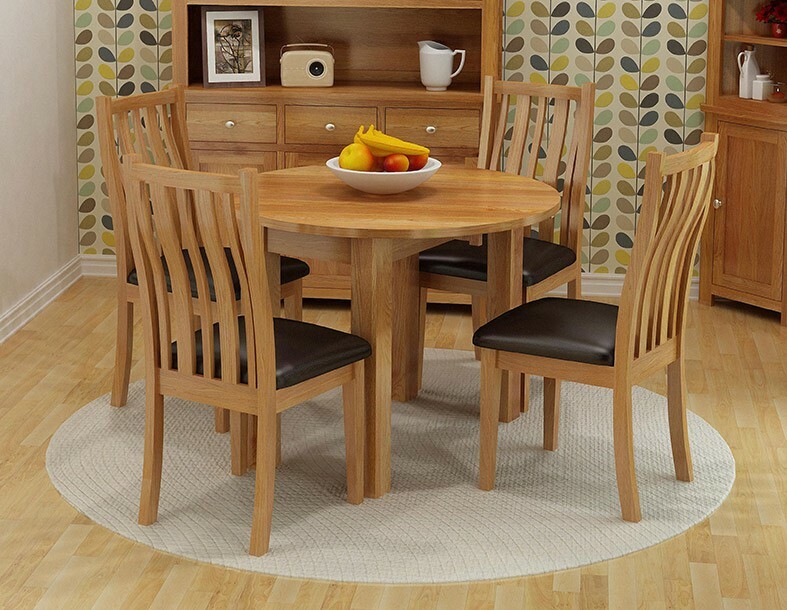 Showcases the natural oak patterns and colours to match any design scheme.